Get Answers to Your Most Commonly Asked Questions About Personal Injury Law in North Carolina. Questions about an important legal matter involving a personal injury claim? Many of those questions are answered here. Call us or get information about the process here. What should I do after an accident to protect myself legally? Wilmington, North Carolina Auto Accident Lawyers Created a Checklist to help you after a car wreck. Write down the date and details of the accident. 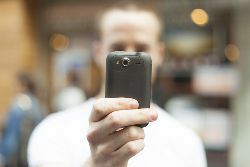 Take photos that will tell the story of the accident, your injuries and your recovery. Write down the names and addresses of witnesses. Review the Accident Report for accuracy and completeness. Seek immediate medical attention if there is any chance you were injured in the accident. Write down the name of the provider and practice for every medical professional you see for injuries resulting from the accident. Do NOT give a recorded statement to the insurance adjuster without a thorough consultation with an experienced injury lawyer. Call (877) 593-4233 for a free telephone or face-to-face consultation in order to protect yourself from financial loss. Gather insurance documents for your health and auto policy. For more information about how we can help you avoid costly mistakes after an Auto Accident Injury in North Carolina contact us by filling out the "How can we help you?" form at the top of this page. I was hurt in a car accident in Wilmington, North Carolina. My medical bills are outrageously high. The driver who caused the accident has the minimum insurance limits ($30,000.00) that are required by law. The adjuster has offered to pay the policy limits ($30,000.00). Should I get an attorney? What should I do? State law requires each vehicle owner to carry at least $30,000.00 of liability insurance coverage. You can purchase more. Many people carry at least $100,000 in liability coverage per person and $300,000 per occurrence. The liability insurance policy for the vehicle of the responsible driver is required to pay for the medical and other expenses of those who were not at fault. The policy will pay up to the limits of the policy. In other words, where there is $30,000.00 (or $60,000.00) of liability coverage, the insurance company could be required to pay that entire amount, but no more. Does the responsible driver have a different liability policy that you could access? Was the responsible driver working for his employer at the time of the accident? Does the responsible driver have an umbrella insurance policy? Does the injured person have underinsured motorist coverage? * This particular analysis can be complicated. Before you reject the insurance companies offer to settle the case for the policy limits and proceed with a lawsuit, you must think clearly and carefully. If you were seriously injured by the negligence of another person, you are probably angry. Who could blame you? I would be. Of course, you want the person responsible for the accident to pay for the damage they caused. In fact, the law requires it. However, if the negilgent driver does not have the assets to pay for damages beyond the limits of the insurance policy, you will be wasting valuable time and money. You may want to perform an asset search in order to determine whether this is a viable option. The process of securing and enforcing a judgment can be expensive. If the responsible person does not have sufficient assets, then you will have wasted time and money for no reason. Where damages exceed insurance coverage you need an experienced personal injury lawyer more than ever. A good lawyer may be able to find additional sources or recovery. He or she may be able to perform an informal asset search. From that he will be able to determine whether you should you accept the policy limits or fight for more. Even if there is not enough money to pay all of the medical expenses from the available insurance policy, an experienced personal injury attorney can help. He may be able to negotiate down the amount of the outstanding medical bills. He may be able to use financial leverage and statutory laws to get your bills paid and still put a substantial amount of money in your pocket. Call or contact us now to find out how we can help you maximize your recovery in your auto accident and injury case. 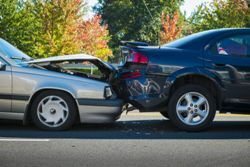 Personal Injury Lawyers, Auto Accident and Injury AttorneysWilmington, Carolina Beach, Kure Beach, Wrightsville Beach, Jacksonville, Burgaw, Bolivia, Shallotte, New Hanover County, Pender County, Brunswick County, Onslow County, North Carolina. I was rear-ended by a student driver while waiting at a stop sign in Wilmington. Nobody was seriously injured, and my car only has a minor ding and a few scratches. Is it worthwhile contacting a lawyer? You say that you weren’t seriously injured. How can you know that? If you think your injuries were unimportant, you probably haven’t gone to the emergency room or even your family doctor to get checked out. Our concern is that serious—even life-threatening—injuries can mask themselves for days or weeks after an accident … and then reveal themselves to be critical injuries requiring urgent treatment. You need to get your condition evaluated immediately. Whiplash is one of the more common results of a North Carolina rear-end collision. This type of injury can worsen over time, leading to pain months after the initial trauma. If it turns out that you have whiplash or another subtle injury, do you really think it’s fair that you might shoulder the costs of your medical treatment when someone else was responsible for the accident that harmed you? Fairness is another reason why you ought to contact a Wilmington personal injury law firm soon. Most injury lawyers in North Carolina offer free first-time consultations for potential clients, so you can learn if you have a case and meet the attorney who can represent you. Basically, there is no risk to you in asking an attorney to look at your situation, so we can’t understand why anyone would not want to get in touch with a lawyer. But maybe you’re shy, or maybe you really think you would be profiting at the expense of someone else. We can respect that, but let us suggest that there is another reason why you should consider a lawsuit: civic duty. The streets of North Carolina are less safe if there is a driving instructor or a driving school that is doing a bad job training student drivers. If the accident—minor accident—that happened to you is due to poor instruction techniques or negligent instructor supervision, this driving school may be turning out hundreds of dangerous drivers every year. Don’t you have an obligation to your fellow citizens to call attention to this hazard? Wouldn’t a lawsuit be an effective way to let the driving school know they will be held accountable for turning out poorly trained young drivers? It’s true that we’ve responded to your question with just more questions of our own. That’s because the biggest question of all—Do I want to move forward to see that my legal rights are protected?—is something only you can answer. My wife died in a Wilmington drunk driving car accident. There is already a criminal DWI case pending against the truck driver who killed her. Can I sue for wrongful death too, or does the criminal case make that impossible? We are very sorry to hear about your loss. Yes, you can file a wrongful death lawsuit against the drunk driver. That lawsuit will take place under the rules of North Carolina civil law. The state’s case against the driver will follow criminal law. One type of legal action does not lock out the other. You may have heard that there is something called double jeopardy that prevents someone from being tried twice for the same offense. That’s absolutely true, and it’s a guarantee embedded in the U.S. Constitution. However, it only applies to criminal cases within one jurisdiction. North Carolina cannot try this truck driver twice for the same incident of vehicular homicide while intoxicated. The existence of a criminal case has no bearing on whether you can bring a civil lawsuit. In fact, it may enhance your prospect of winning a judgment. Your North Carolina fatal injury attorney may be able to get useful documentation from police and prosecutors while investigating the case. If the truck driver’s criminal case is resolved with a verdict or guilty plea before your lawsuit comes to trial, the driver’s insurance company may be more willing to settle outside of court. The standard of evidence needed to win is different. The state has a tougher burden of proof in a criminal case. The prosecutor must show beyond a reasonable doubt that the truck driver met the requirement of the criminal statute for the charge. That may require showing a precise degree of intoxication, for instance. In your civil case, your attorney must show by a preponderance of the evidence—meaning “more likely than not”—that the truck driver was negligent, and that this negligence led to your wife’s death. The ultimate goal of the court process is different. The state’s criminal case is directed toward the goals of punishment, deterrence, and social control. A winning case leads to prison or jail time for the truck driver. On the other hand, the goal of a North Carolina wrongful death lawsuit will be to compensate you for your losses in the only way possible—with monetary damages. Everyone involved recognizes that money is not what you most want, but the legal system cannot bring your wife back to you. Monetary damages or a settlement affords you a cushion against the extra expenses and hardships you face because your spouse is lost. We know that can’t fill the hole in your life, but we all hope it can help the recovery process in some small way.